May is Mental Health Awareness Month. Lace up your sneakers and join Hope for Depression Research Foundation during the 2019 Race of Hope to Defeat Depression, including participating in the virtual race option hosted here at Virtual Strides. 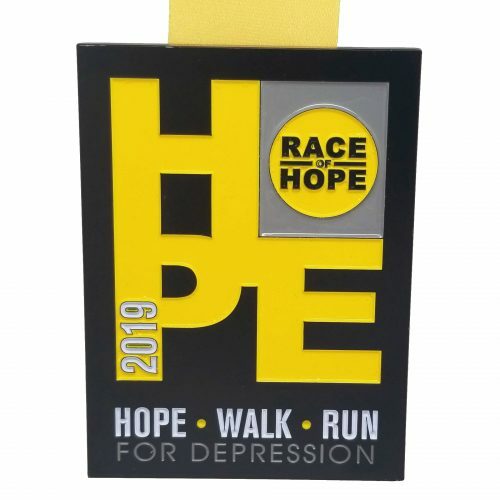 These events will raise awareness for the cause and 100% of funds raised will go directly to brain research that will transform the way depression is viewed, diagnosed, treated and prevented. Run or walk whenever and wherever you want to support the cause and help save lives, while earning an official 2019 Race of Hope medal for yourself! In 2010, HDRF launched its Depression Task Force (DTF) – an outstanding collaboration of seven leading scientists, at the frontiers of brain science, from different research institutions across the U.S. and Canada. These scientists have developed an unprecedented research plan that integrates the most advanced knowledge in genetics, epigenetics, molecular biology, electrophysiology, and brain imaging. To accelerate breakthrough research, they share ongoing results, in real time, at a centralized data bank, the HDRF Data Center. 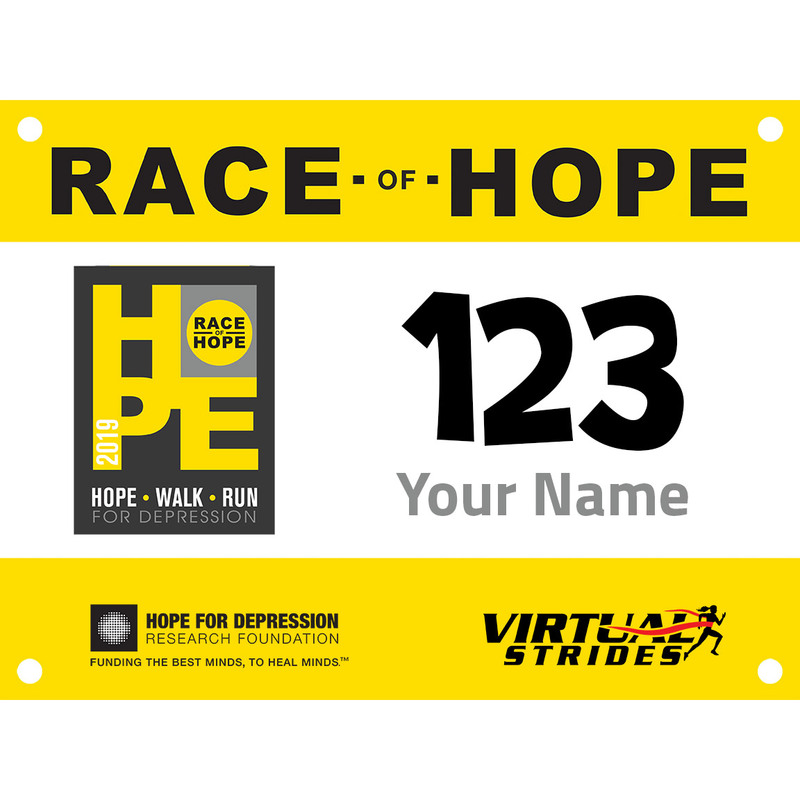 HDRF was founded in April 2006 by Audrey Gruss in memory of her mother, Hope, who suffered from clinical depression. Virtual Strides Partner Event: This event is part of the Virtual Strides Partners Program. Hope For Depression Research Foundation will receive 100% of the net proceeds from this event after Virtual Strides’ partner costs are deducted. 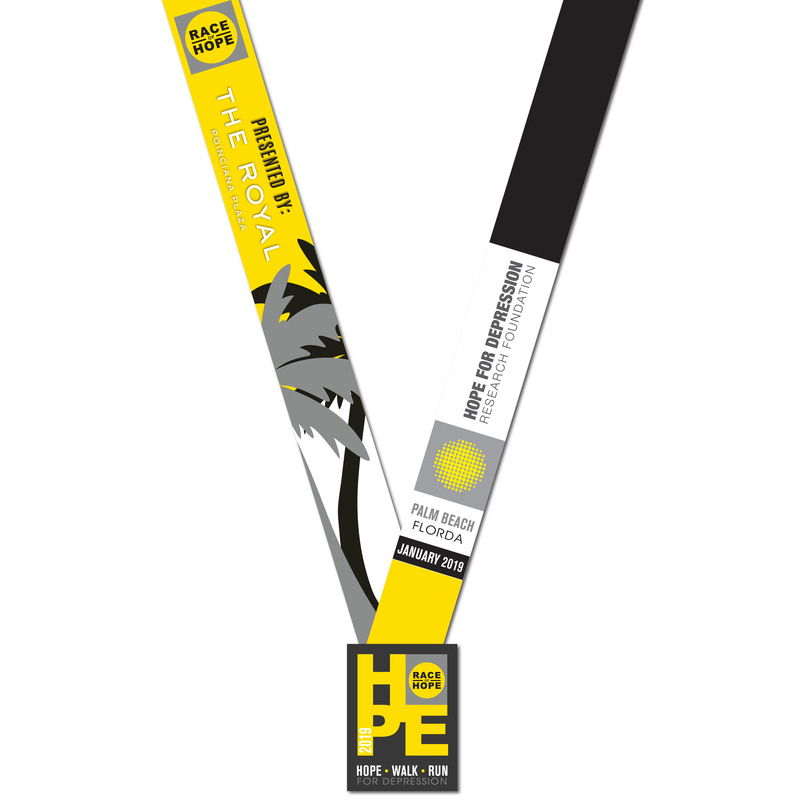 For more information about this organization or to make a direct contribution, please visit HopeForDepression.org.